After all of the overindulging the last few weeks I can seriously feel my body telling me it is time to get back into a semi-healthy routine again. I think smoothies may be part of the answer. 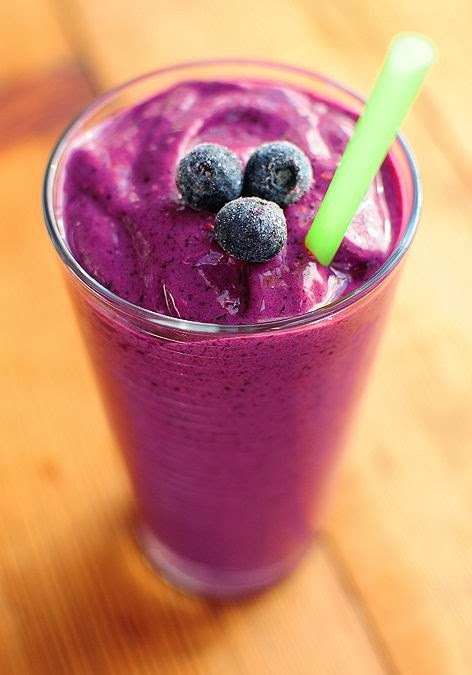 This Blueberry Coconut Smoothie that uses frozen blueberries sounds delicious and like it would be part of a great breakfast or afternoon snack. I am also considering finally trying green smoothies (like this or this) which honestly look kind of unappealing to me. Do you drink green smoothies? I found this diagram that may make coming up with flavor combinations easier.